Winery weddings are classy: everyone knows that. It only makes sense that your wedding invitations should set the tone right from the outset and show all your guests that the celebration of your love will be an event to remember. 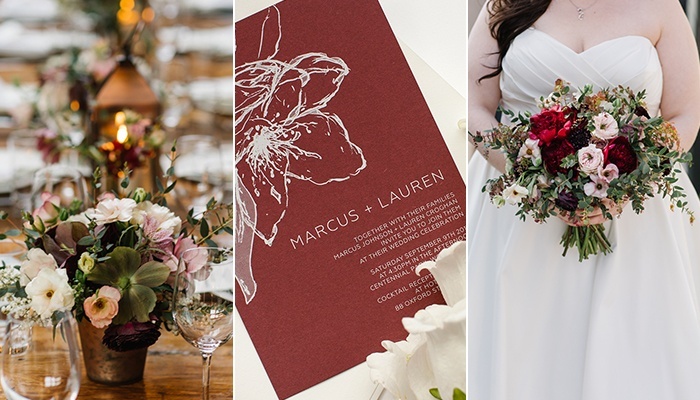 But which style of invitation suits a winery wedding? Does it have to be something that reminds people of wine? It can, by all means, but it doesn’t necessarily have to be so. 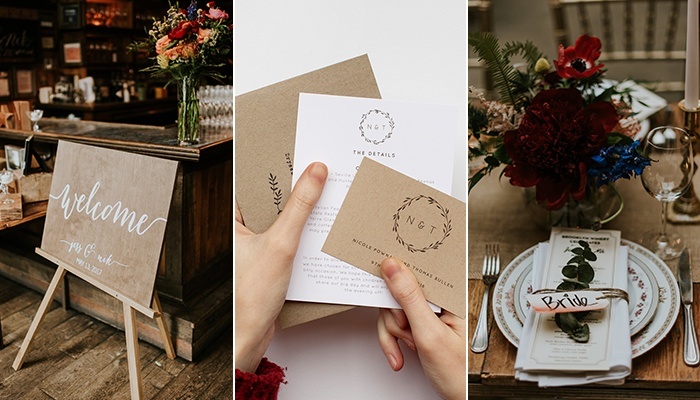 We’ve put together a shortlist of stunning styles for your ideal wedding invitation so that you can pick the option that feels right for you on your big day. 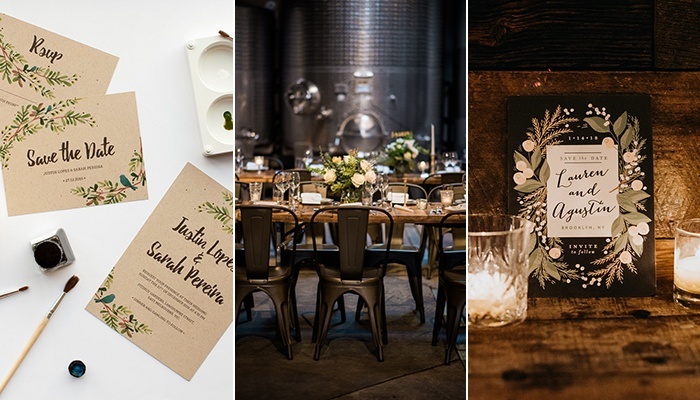 Many couples choose Brooklyn Winery as their reception venue because they connect to the rustic, historical atmosphere. Why not play into the vintage theme with your invitations and go for a style that will reflect your deep love of culture? A rustic design will suit the style of Brooklyn Winery to a tee and guests will see a cohesive theme flowing through the whole wedding. An invitation like this is versatile because you can word it as formally or casually as you like, and it combines script calligraphy-type text with more modern block letters. 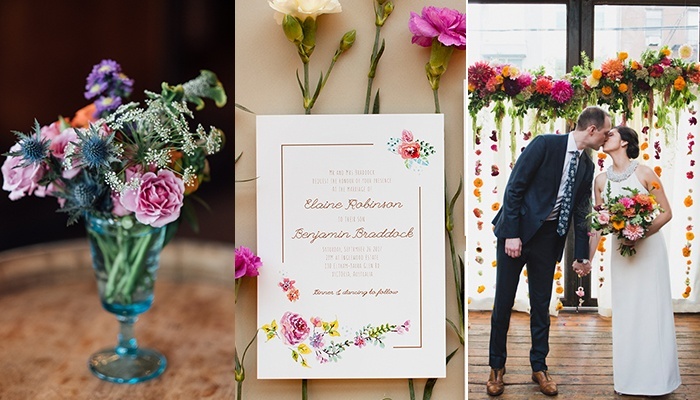 Floral wedding invitations typically have a bright and fresh look, with a touch of femininity. They can still have elements of rustic style but avoid looking too old fashioned. An invitation should reflect your personality, so if you and your partner love nature and color, then you may have found yourself a match. Tie all of the elements of your wedding together by incorporating the same flowers from your invitation suite into table runners or rustic centerpieces. You could even match your bridal party bouquets and boutonnieres with similar flowers. If it’s the wine that attracted you to Brooklyn Winery, why not choose a design with a rich, red wine look about it! Lots of couples choose a winery wedding because they are genuine foodies or wine lovers. Sound like you? This style of invitation may be right up your alley! A rich burgundy color scheme pairs perfectly with white ink or stunning real gold foiling for a truly elegant touch that will lift your invitations into luxury, while reflecting the style of Brooklyn Winery to a T.
If making a big fuss isn’t your style and you just want to keep it simple, go for something understated, perhaps focusing on text with decorative details kept small, like a little wreath or illustration. Wedding invitations don’t have to be over the top, and a classy little number like this will look good for years to come (in your wedding scrapbook, of course!). Choose kraft paper or recycled paper to add a rustic touch. Bold. Black and white. Simple. You can’t beat it. Old school and vintage may not be your cup of tea, and if you guys as a couple are more modern and edgy (while still loving good wine, of course) you may have just met your match. To keep the design interesting and fresh, choose a design that combines a range of fonts. For more of a sleek look, opt for shorthand dates and snappy wording. If you’re after something a bit more formal, spell everything out in full. Either way, a simple black and white text-based design is classy and sophisticated, and will go with any style of winery wedding. At the end of the day, remember that wedding invitations don’t need to be a huge point of stress, cost half the wedding budget, or be worded in a certain way to please others. 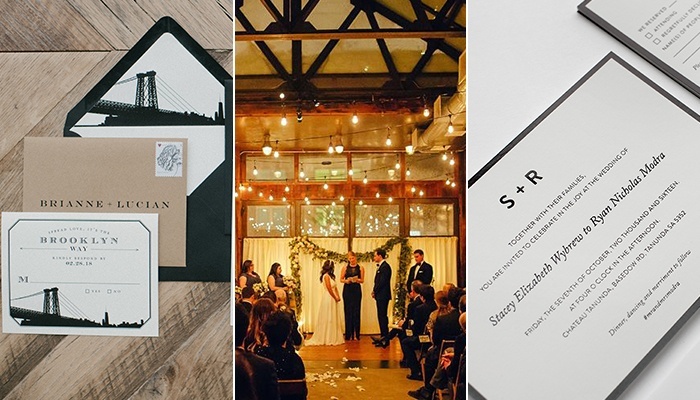 What wedding invitations should be? Fun, reflective of your personality and wedding theme, and beautiful. Follow your heart and you can’t go wrong!